Trustees and staff of Centre West are today paying tribute to Joyce Robinson, a true champion of the West End, who has passed away aged 83. A lifelong West End resident – apart from four years when she was evacuated to Keswick during the second world war – Joyce was a tireless and passionate advocate for Cruddas Park and the wider West End for over 40 years. A fifth generation grandmother, Joyce was active in her community from the days of back-to-back terraced streets and the construction of the tower blocks in the early sixties through to the recent remodelling of Riverside Dene and plans for the shopping centre. 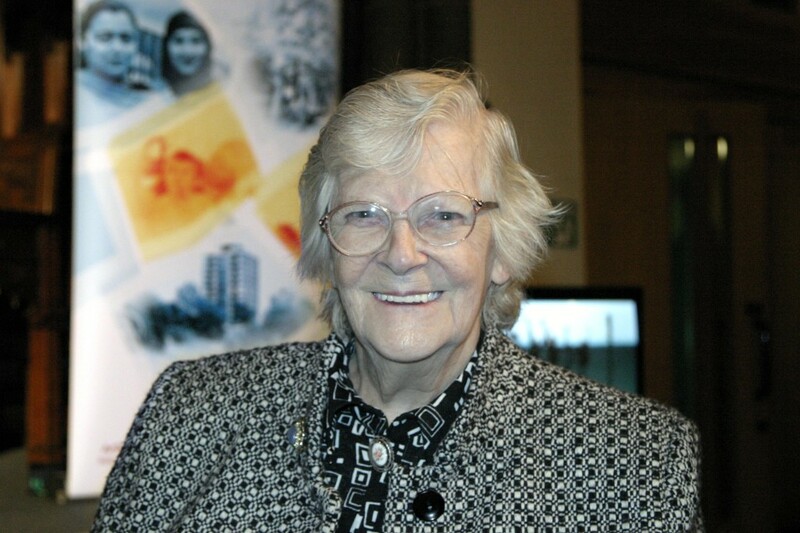 Joyce was an active community representative during the City Challenge programme, and a Board member throughout ten years of New Deal for Communities, before becoming a trustee of the new Centre West charity in 2009. As an elected representative for Cruddas Park, Joyce took a particular interest in jobs and training opportunities for her fellow West End residents, as well as issues like crime and improvements to local people’s homes. She is remembered with respect and affection by her colleagues and friends, past and present. “There was a time when issues arose and I and many other people complained but did nothing. Some years ago I decided that if you want change you have to make it happen. Along with like-minded people, City Challenge, New Deal for Communities and Centre West helped to rebuild the West End.